Below you will find SEO reports, testimonials and samples of our web design & development work. Our clients range from attorneys, retailers, service industry professionals, social networkds and entertainment companies. Please keep in mind that all SERP’s (Search Engine Ranking Positions) change on an almost daily basis. While we do our best to keep our site current, the rankings may differ slightly from our reports. We generally update this section of our site once per month. 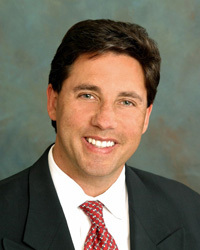 Former Mayor, Scott J. Brook P.A. 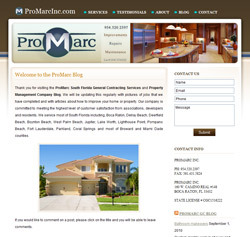 We provide Search Engine Optimization consultants to the former Mayor of Coral Springs and his Law Firm. The design was from his previous webmaster. Google any of the keywords below to see where Scott’s firm currently ranks on Google. While Mr. Brook was running and serving as the Mayor of Coral Springs, SEM PROS served as Social Media Consultants on the key advisory group for his 2012 Campaign for the Florida House of Representatives Disrict 96. We branded and designed this medical practice from the ground up. Everything from the logo to the website, social media and in-store displays. 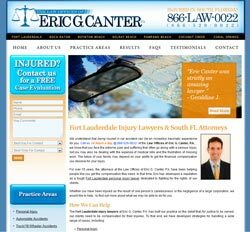 Law offices of Eric G. Canter, P.A. Our Design team, SEO consultants, Search Engine Marketing Specialist and our Social Media Marketing Experts have helped Eric’s firm achieve the following desirable placements on Google. These keywords are highly competitive and get approximately 20,000+ local monthly searches. 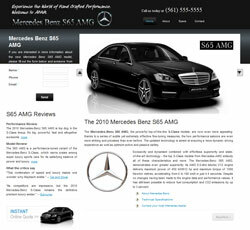 Our team just finished this new WEB DESIGN for Mr. Murphy and took charge of all his SEO SEARCH ENGINE MARKETING. 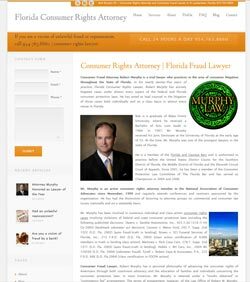 Mr. Murphy specializes in Consumer Rights law, fraud and unlawful repossessions in the state of Florida. WEB DESIGN, SEO, SOCIAL MEDIA, PPC | We just took over the account for Carefree Lifestyle. 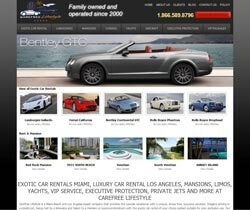 They provide rental for luxury & exotic cars, mansions, yachts, private aircraft, executive protection and VIP packages in Los Angeles, Miami and New York. 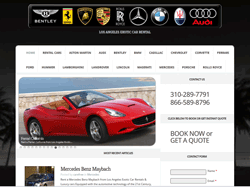 Many of their clients are celebrities in the world of sports, entertainment and music. 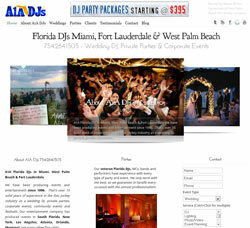 The link above is for a new web site we just designed for them. It’s still under construction but you can get an idea of the quality of our work. We recently updated the clients website from an old HTML platform to and upgraded them to WORDPRESS. By doing this, they gained the following improvements to their site that are crucial for SEO and site management. We are training the employees to update to make blog updates from their smart phones. WEB SITE MANAGEMENT – Client can now add and manage the entire website including, pages, blog posts, text, images, videos etc. We are handling the Search Engine Optimization, Social Media Marketing, Pay Per Click and Web Design for all of their other sites as well. 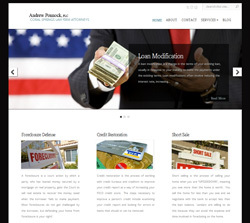 WEB DESIGN | Our team recently completed this website design for an attorney in the Coral Springs area that deals mostly with real estate, bankruptcy, loan modifications, short sales, debt settlement, credit restoration and foreclosures. It’s only been a couple months, but we have already seen excellent gains in search engine rankings. 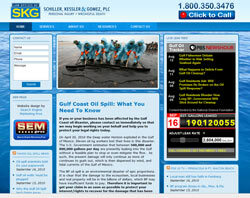 WEB DESIGN | After the successful web design and launch of the Florida Oil Claims website, our firm was contracted to begin devlopment of a new web design for the main law firm website. We are putting on the finishing touches on this site now, but we are proud to announce it is 100% live and the client is satisfied. We just trained the attorneys on how to self-update the website and blog and they are excited about finally being able to post all their own press and news. 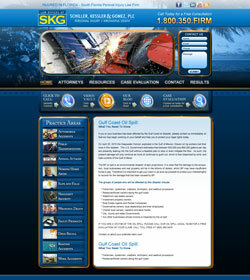 WEB DESIGN | Our team recently designed this site for a personal injury law firm in response to the gulf oil crisis. 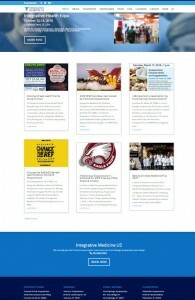 The site features many live news feeds, photos and statistics that update daily. 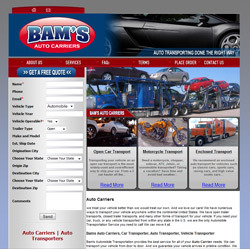 This site was completed with a three week turnaround time. WEB DESIGN, SEO & SOCIAL MEDIA | Our team recently did the web design, search engine optimization and social media for this local and international moving company located. Like most sites these days, it was created in wordpress so that anybody from the company can login and make changes any time. 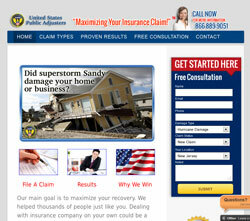 WEB DESIGN | Our team recently did the web design for this public adjusters company based in Neptune, New Jersey. The specialize in helping people get the most of their insurance claims for homes or businesses damaged in storms and fires. WEB DESIGN, SOCIAL NETWORK, E-COMMERCE | One of our biggest projects to date! 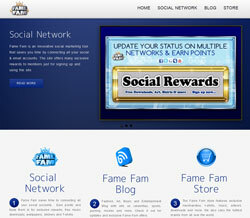 Our team developed this entertainment web design for Miami based FAME FAM (Fashion Art Music Entertainment Family). 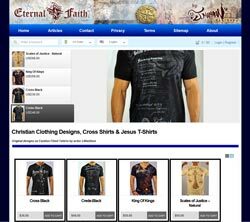 The site features a fully functional shopping cart, custom social network and blog. 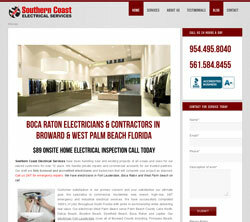 WEB DESIGN | We recently did the web design for this Boca Raton, Florida based Electrical Services company. WEB DESIGN | After the successful design of their electrical services company, this is the second project we developed for Southern Coast. 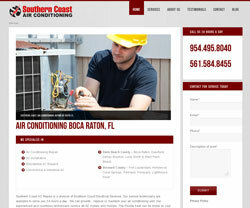 We recently did the web design for this Boca Raton based Air Conditioning company. SEO, PPC & SOCIAL MEDIA | We handle the search engine optimization, social media and pay per click management for this 15,000 sq. 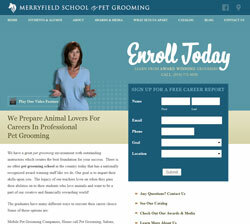 ft. pet grooming school and pet hotel in Fort Lauderdale, FL. WEB DESIGN, SEO & SOCIAL MEDIA MARKETING | We built this ultra high tech website for Dr. George Love of Boca Raton, Florida. 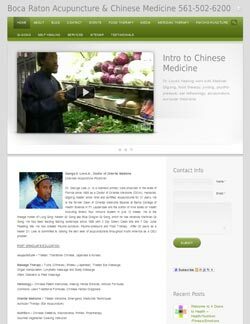 He is a licensed acupuncture physician, Qi Gong Master, doctor of oriental medicine and walking encyclopedia that has been practicing for over 30 years. The cool thing is that he is savy enough to do all his own blog updates. We trained him how to use the site, and after 2-3 sessions he has mastered the platform. We linked in his Twitter and FB like buttons and now Dr. Love is doing his own social media optimization as well. We just started the Seo Search Engine Marketing and will be posting results shortly. WEB DESIGN | We designed this for a Fine Art Gallery on the world famous Las Olas Blvd. shopping strip in Ft. Lauderdale, Florida. It’s basically one of our custom e-commerce shopping cart systems with the pricing and cart functions disabled. 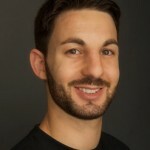 Roi Danon (owner), “Search Engine Marketing Pros has been my main source for advertising for over 10 years. 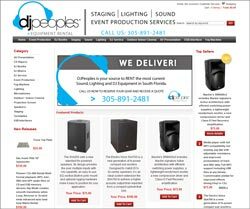 SEO, SOCIAL MEDIA & PAY PER CLICK MANAGEMENT | After the great success we’ve had promoting A1A DJs onto the first page of Google, Dj People’s CEO, Marc Vane, hired our firm to help elevate the Search Engine Ranking Positions for his brand new sound equipment rental company in Miami. They rent Sound, Lighting, Audio Video and Event Production equipment to the entire South Florida area, including Miami, Fort Lauderdale & West Palm Beach. 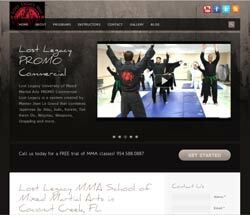 WEB DESIGN | Our team recently designed this for Lost Legacy Mixed Martial Arts School in Coconut Creek, Florida. The slideshow rotates videos, pictures and advertisements. The website is super SEO friendly with features like a blog that update to the homepage, multiple twitter feeds, photo galleries. and many more awesome abilities. The best part about our sites are that we standardly design in WORDPRESS, so any client can make all their own updates in house, from any house, at any time! Don’t believe the hype? See for yourself… Google the keywords below to see where Bam’s currently ranks on Google. When we began the project, this website was almost invisible to Google. Within a few short months, we were able to rank competitive keywords on a national level and achieve many first page rankings on Google, Yahoo and Bing. In addition, we installed a lead generator form on the homepage in order to increase the ratio of visitors to quote conversions and overall sales. WEB DESIGN | Fully functional e-commerce shopping cart design with articles, tags, links and state of the art back end administration system where everything is customizable. This site is easy to use and ready for some heavy Search Engine Marketing. 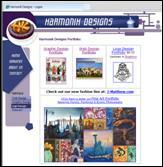 Search Engine Marketing Pros did a great web design for my online store. 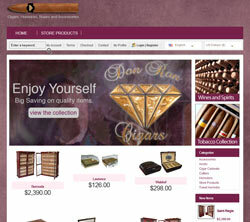 My Cigar company sells humidors, cigars and cigar boxes. They did and excellent job with the design and we are about to get started with the SEO and Social Media for the website. So far so good! 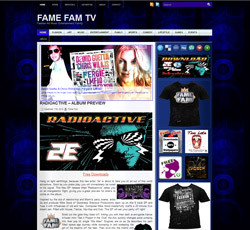 Fame Fam TV is a Fashion, Art, Music, Entertainment Blog with an Online Store for T-shirts and Music. The site features a healthy mixture of celebrity content and original productions. 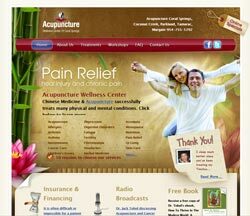 SEM Pros provided: Logo Design, Interface Design, Web Banner Graphics, and the T-Shirt Artwork for this site in 2010. Search Engine Marketing Pros designed my logo, built me a website, created my brochurers and printed my business cards, T-shirts, and car magnets. The website has a built in Blog that I can easily update myself with pictures of new jobs daily and accept comments from visitors. Also, I have a Testimonials page where my customers can quickly leave reviews about my service. Great work! 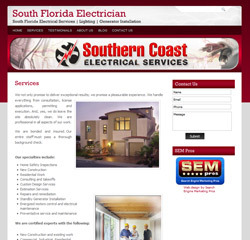 This was the original design for Southern Coast that we upgraded from an HTML website to wordpress. We have since redesigned it and it can be seen further up in our portfolio. We designed this website for a local service provider with a built in Blog that can easily be updated and accept comments from visitors. Also, we installed a Testimonials page where customers can quickly leave reviews about the service. 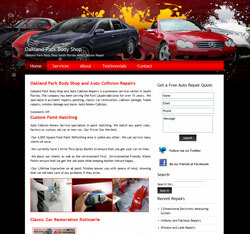 Our company was hired to design this website for a local body shop in the South Florida area. 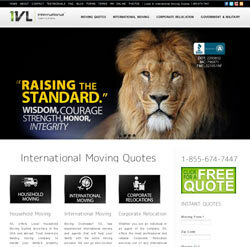 This is a sample website our company designed for a potential client. 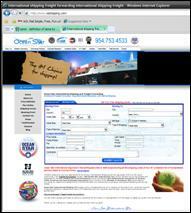 The site features an easy to use contact form, lead generator and a photo slideshow on the homepage. We built this website for a client who wanted to help businesses in the Caribbean grow across the Islands. We worked on everything from the business strategy, research, creative, content, programming, testing, and implementation of the site. For this client, we developed a fully functional Social Network Dating Site Platform from initial planning to launch phase.